A former journalist and speechwriter (for Canadian government officials including two Prime Ministers) R.M. Doyon now owns a Public Relations agency. With his wife, Shelley Anthony, Doyon has written two screenplays. He’s also written a stage-play on the life and times of former Canadian Prime Minister Pierre Trudeau. 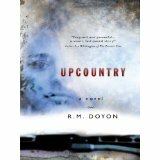 Upcountry is Doyon’s first novel and he is currently at work on a sequel. For more information, visit his web site. A senior aide of the Governor of New York, Jan Schumacher is on the political fast track, laying the groundwork for her bosses run at the White House. Then a visit to her doctor sends her into an emotional tailspin and, after years of absence, she makes a surprise visit to her childhood home. Hoping to come to terms with her past, she discovers the present has issues too. Deciding where to focus my praise of Upcountry is difficult because there are so many possibilities. It could be characterization. Doyon’s characters come alive in ways many authors don’t manage. From the main character, Jane Schumacher, to a minor character such as Jane’s old boss who appears briefly in a flashback, I felt like I knew the characters perfectly; At least as perfectly as needed for their place in the story. Doyon’s portrayal of people from all backgrounds is both sympathetic and shows a true understanding of what makes them tick. I could focus on his handling of the subject of spousal abuse, a crucial topic at the heart of the story, which he gets right. However, for me, the meat of the story and my favorite part is Doyon’s unveiling of Jane. When first introduced she’s an enigma. Very successful and driven in her career, yet she doesn’t have much of a personal life and this is obviously by choice. In the beginning, I liked her, but wanted to know more. Doyon hints of things from Jane’s past that might account for her aversion to personal attachment, and then slowly reveals the reasons throughout the story. As past events come to light, we understand Jane a bit better. As she considers past decisions and their consequences, we understand her even more. By the conclusion, we not only understand what made Jane who she is, but maybe Jane comes to terms with that herself. Upcountry is suspenseful with several conflicts that will keep you engaged as you wonder how they’ll turn out. It touches on politics and social ills, which if you’re inclined might trigger some insight into these subjects. But for me, the character study of Jane and how life decisions change who we become was the biggest draw. Jane sometimes has a foul-mouth. Those easily offended by strong language might find her to be too much. Great review! I always find that a good connection with characters really pulls me into a story. I'm adding this one to my list of books to read! Thank you for the kind words and fine 5-star review. No complaints or cursing from this author! Hope your readers will venture upcountry to enjoy my work for themselves. Nice review - very thoughtful response, much more revealing than a list of the plot points, or the random exclamations of delight that you see in typical reviews from family! 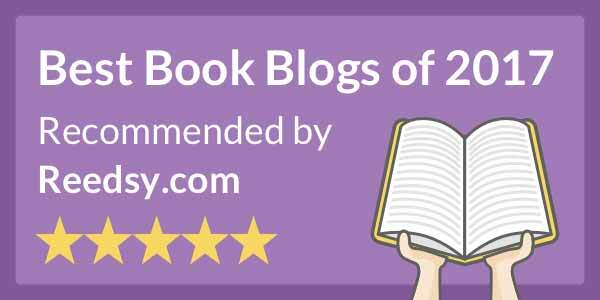 Online books rely on quality reviews - great to find a good source.